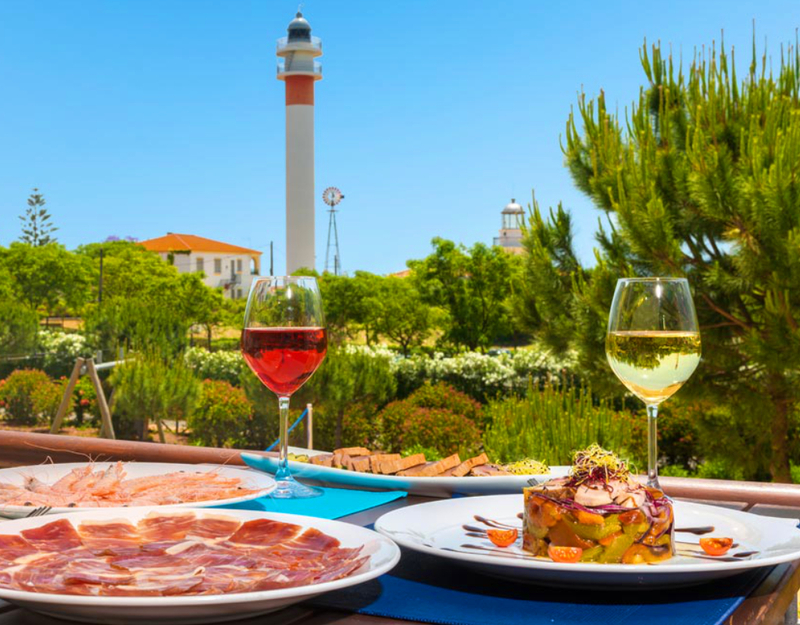 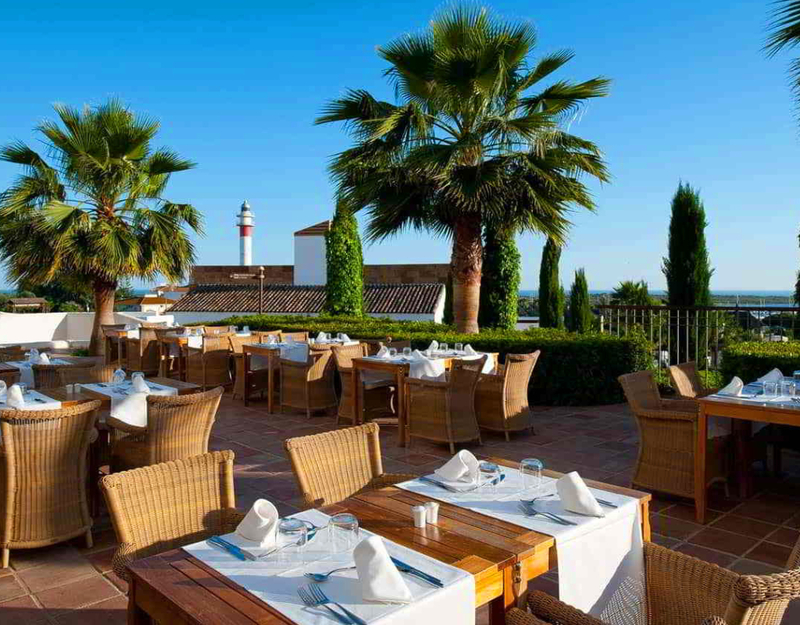 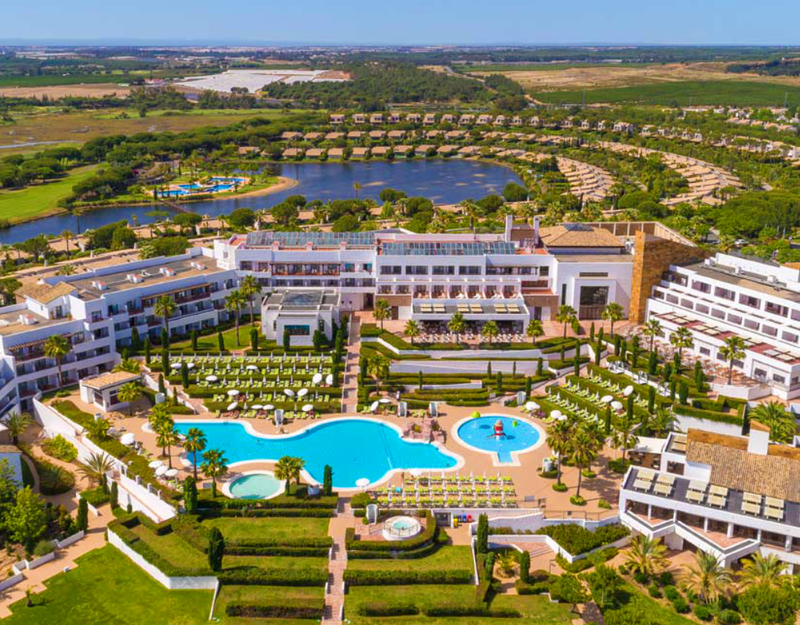 This 4* hotel is located in Huelva region next to natural area of Rio Piedras and Doñana National Park and it is an environmental friendly hotel. 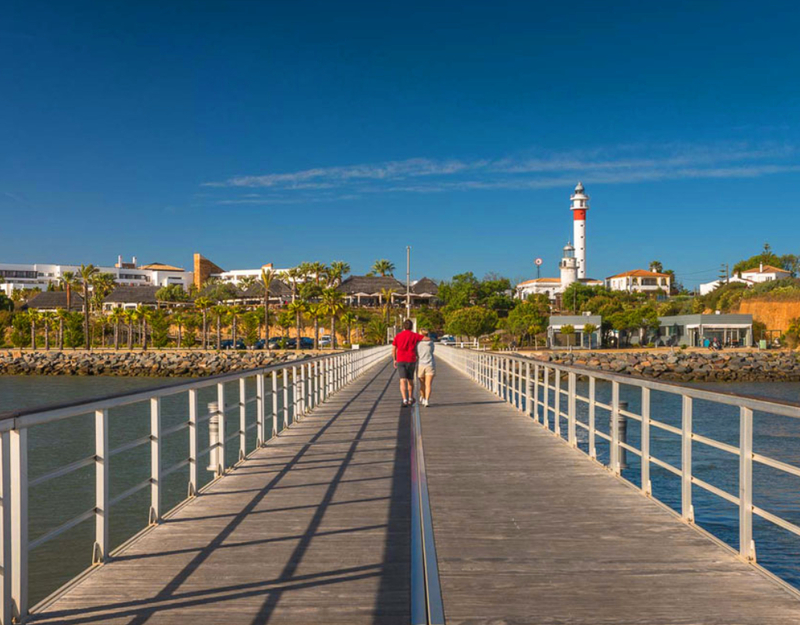 It is also a short walk from the centre of the small fishing village called El Rompido which is known for its two lighthouses. 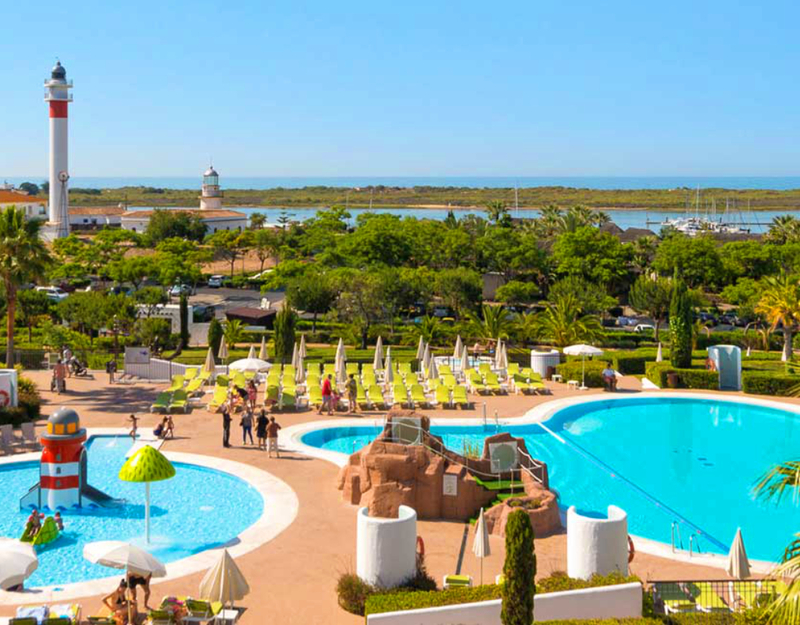 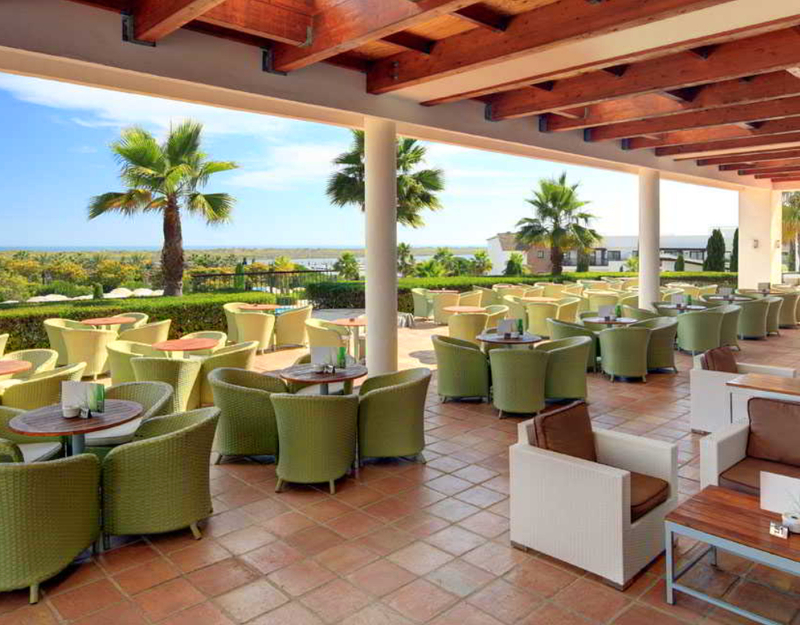 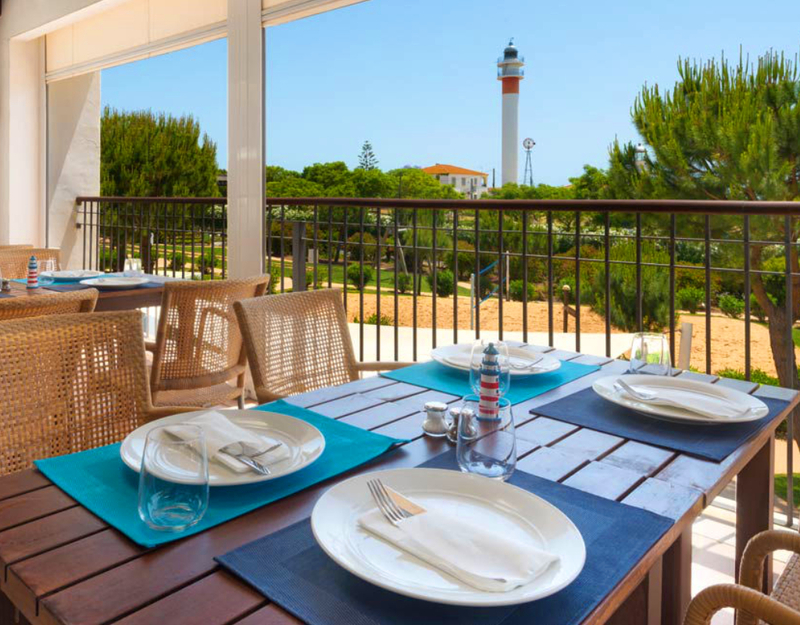 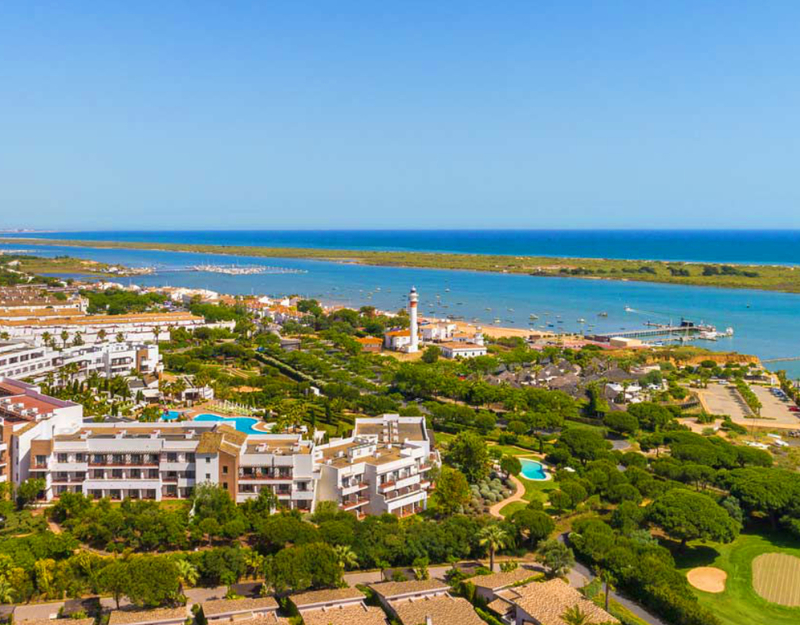 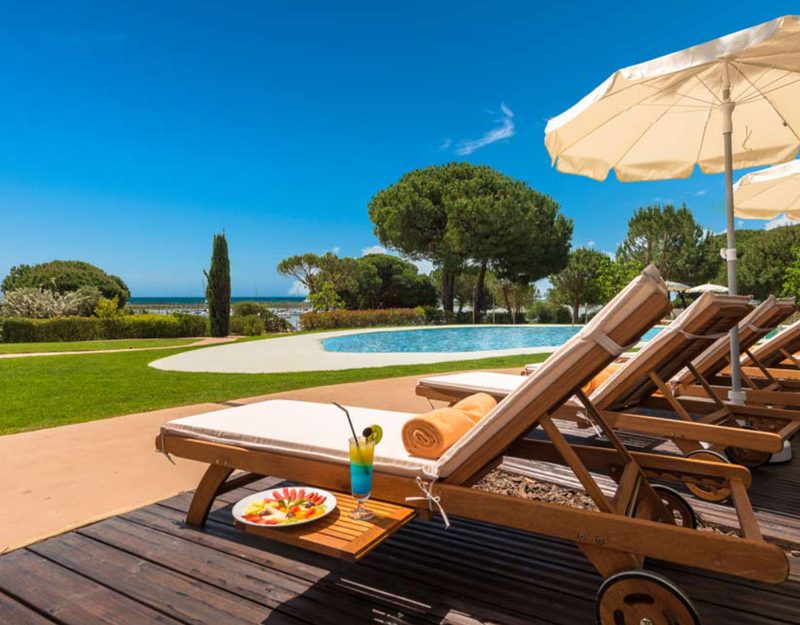 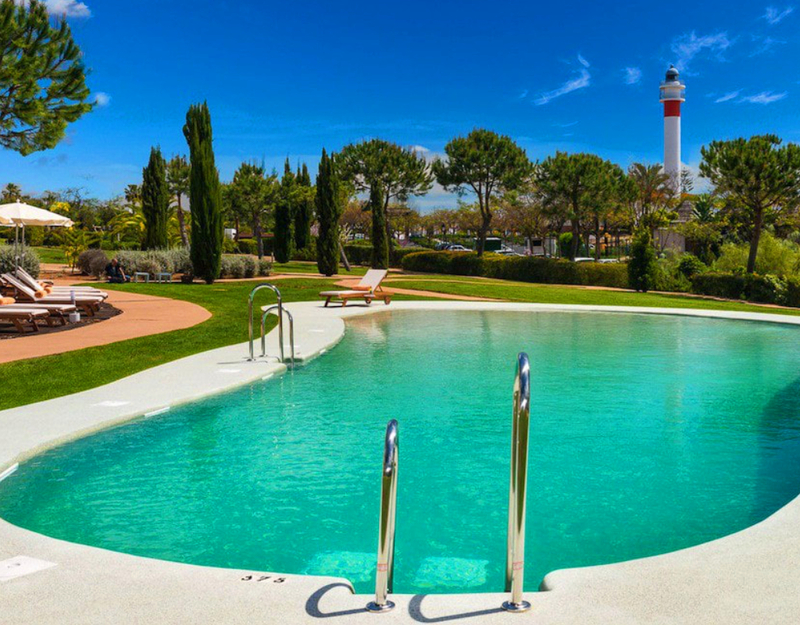 Nearby are many golf courses, such as El Rompido Golf just next to the hotel, La Monacilla Golf, Islantilla Golf, El Portil Golf to mention few of them. 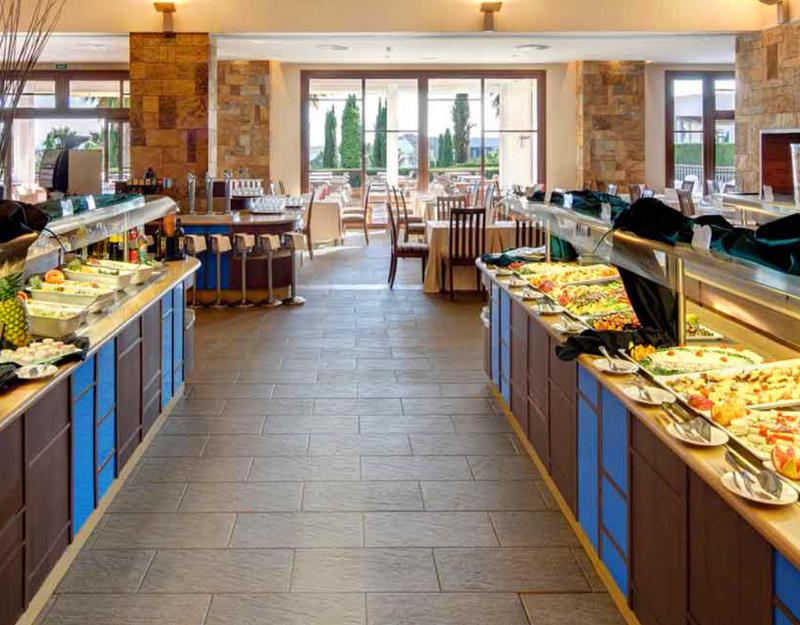 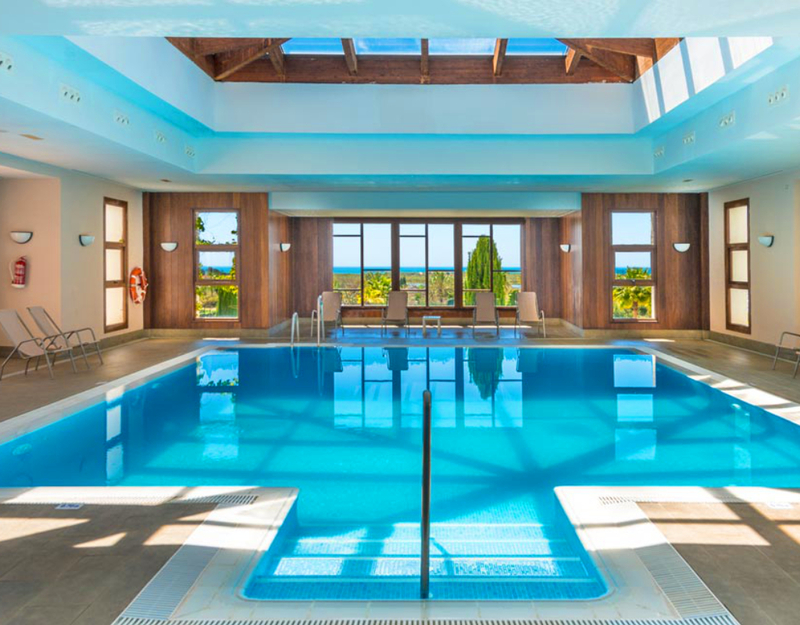 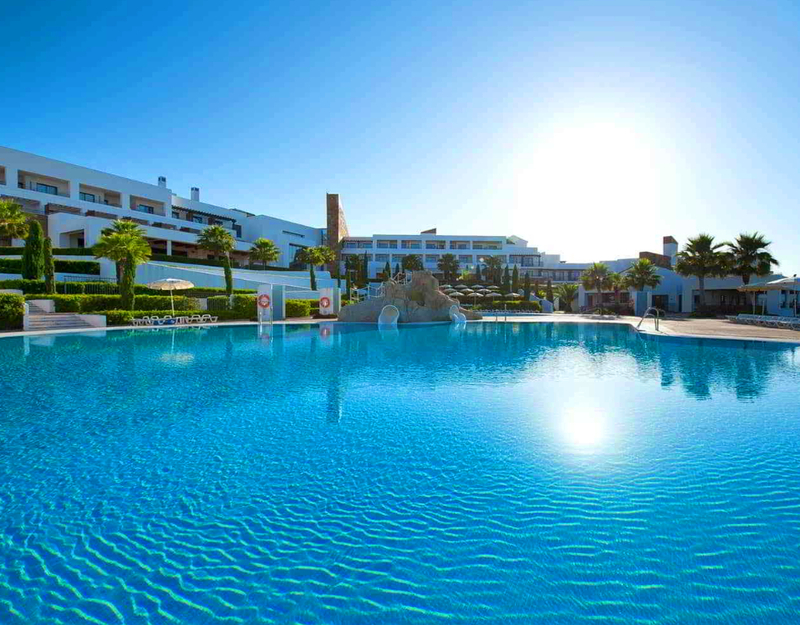 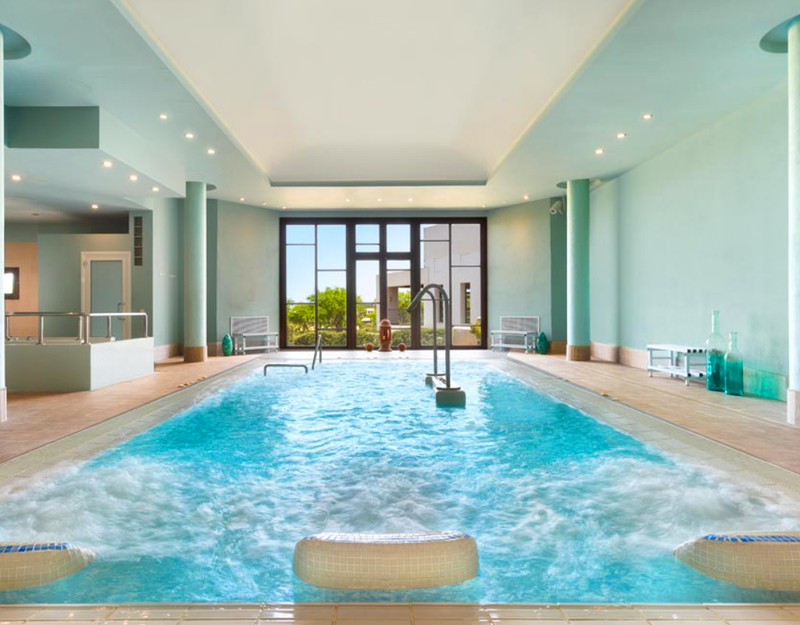 Hotel facilities include 5 swimming pools one of which is indoor pool, two bars and a restaurant, spa and gym. 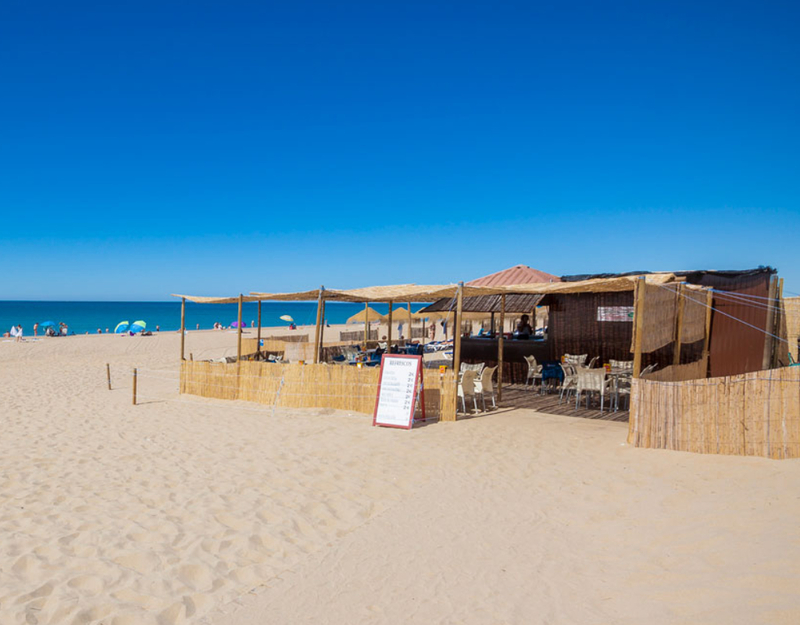 One of the services is a free boat ride to a beautiful beach. 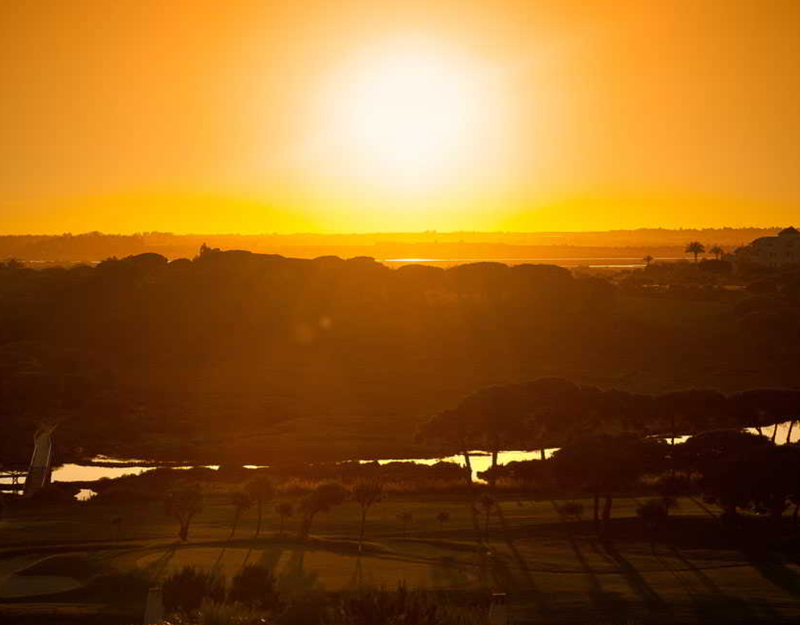 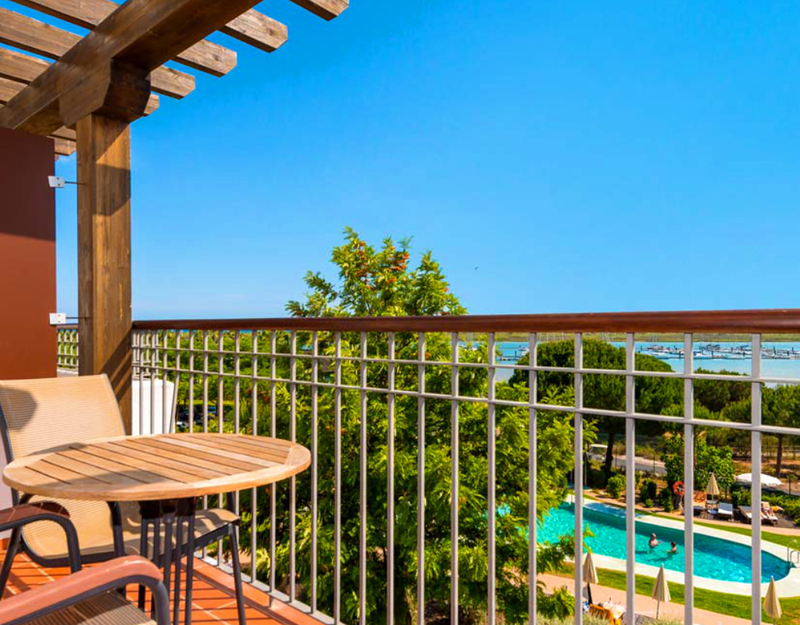 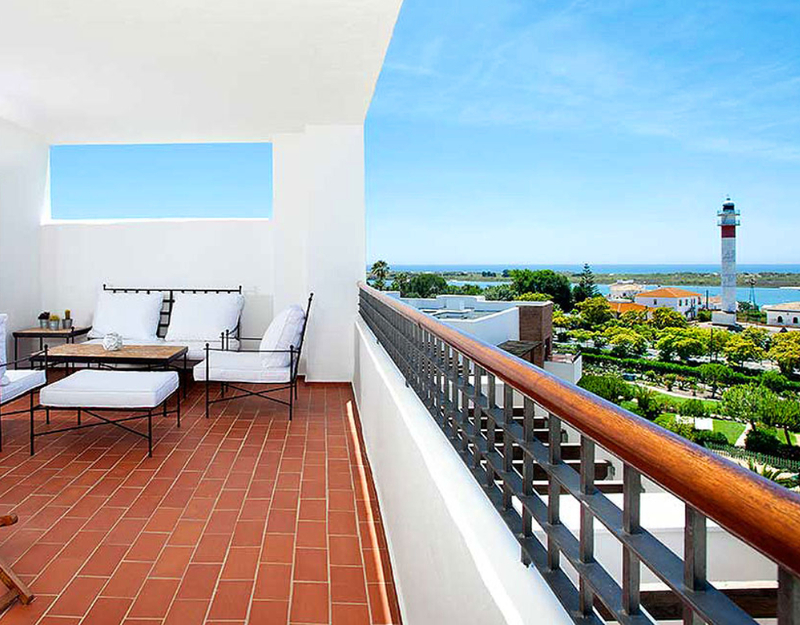 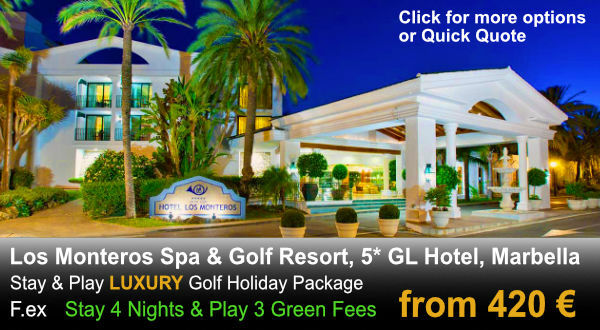 The comfortable rooms have free wifi and a balcony or terrace and the hotel is a great choice for relaxation and playing golf in this region. 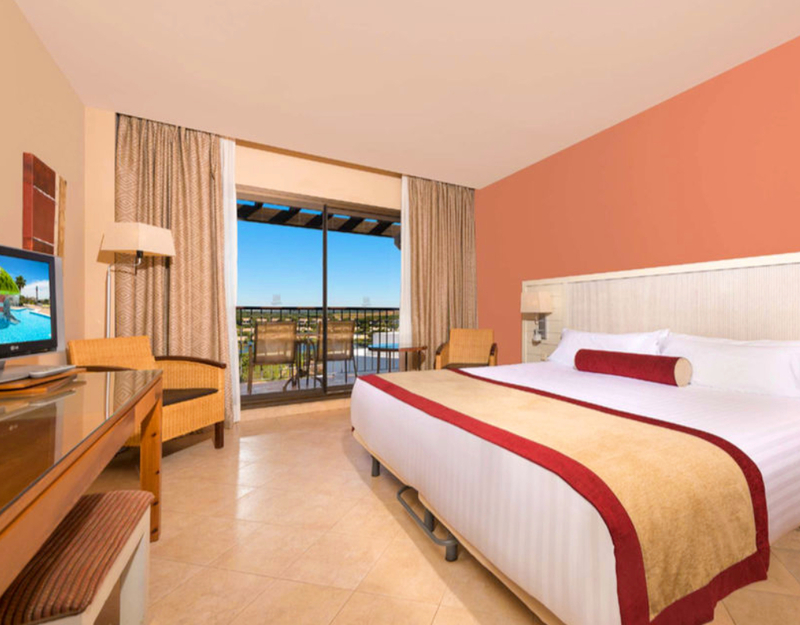 Supplements for double room for single use, side / front sea view and half board.